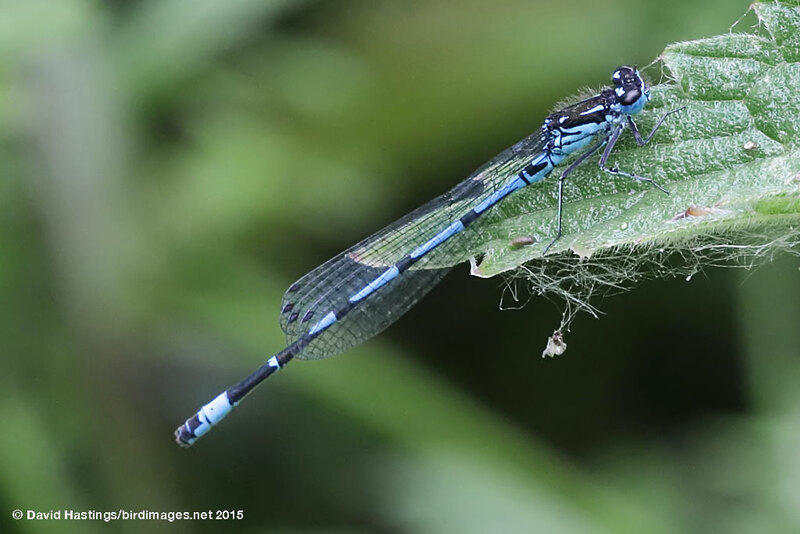 Variable Damselfly (Coenagrion pulchellum). Male. Taken at Abingdon, Oxon, on June 13th 2015. Approx 5.8x lifesize. Male. Taken at Abingdon, Oxon, on June 13th 2015. Variable Damselfly (Coenagrion pulchellum). Female. Taken at Abingdon, Oxon., on May 18th 2018. Approx 5.8x lifesize. Female. Taken at Abingdon, Oxon., on May 18th 2018. In males, the antehumeral stripes are broken (or sometimes missing entirely), there is a thick black wine goblet shape on S2, and S9 is more than half black. Females occur in two colour forms, dark and blue. It has a patchy distribution in Britain, being mainly found in Somerset, Sussex, Kent, the Norfolk Broads, the Fens, Anglesey and south Galloway. It is widely distributed in Ireland. This species needs well-vegetated grazing-marsh ditches, fens, ponds, lakes and canals. Eggs are laid into the stems and leaves of aquatic plants. They hatch after a month, and the nymphs probably take a year to mature. 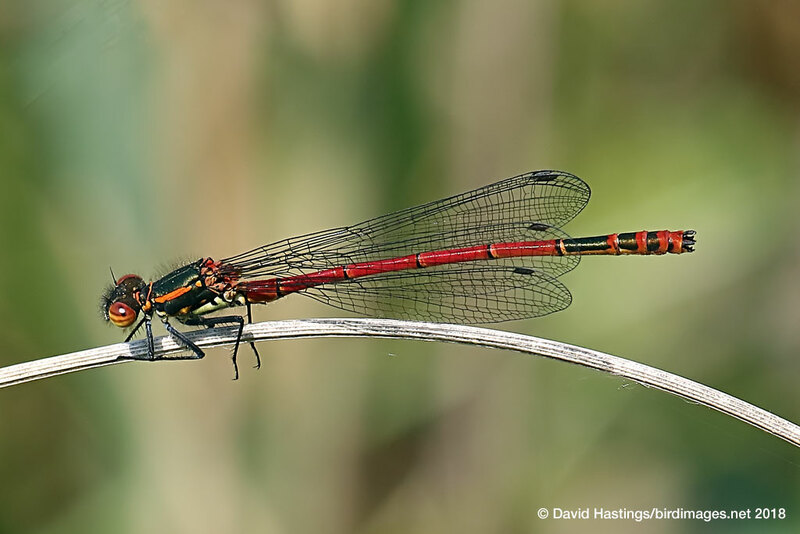 Most aspects of behaviour are similar to the Azure Damselfly. Adults are often found in lush vegetation away from the water's edge. This is a Red data list species in Britain.